Uses wi-fi network and raspberry pi, intel Edison, and Arduino to establish communication between wiiu gamepad and quadcopter. Live video streaming processed into individual images as wii u gamepad only supports limited formats for video, and sent through node.js server. Inputs are obtained from gamepad through a server socket. 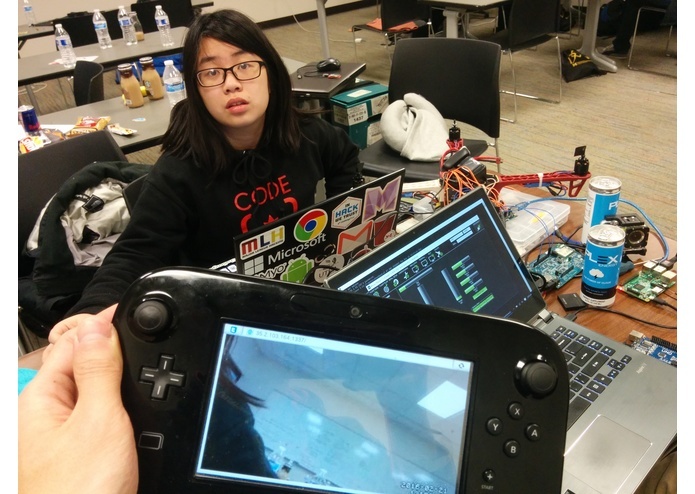 I worked on processing the live video stream from the intel edison for display on the wiiu (node.js) as well as code to receive the analogue stick input (java, flask). Definitely a great learning experience and my first hardware hack! 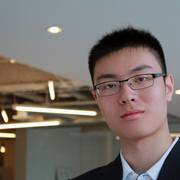 I am a student at the University of Toronto studying CS. I have experience in Java and Python and am always open to learning more!